In the search to develop an ultra-high precision testing system capable of performing coulombic efficiency measurements, an ARPA-E Project was started over three years ago in partnership with Arbin Instruments, Ford Motor Company and Sandia National Lab and in 2016 it has finally seen its culmination. 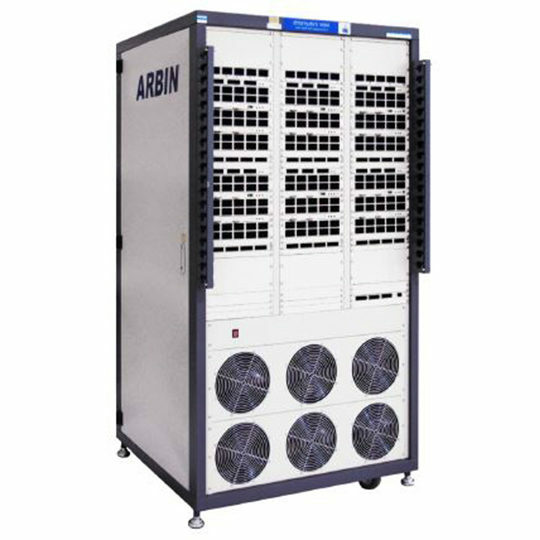 At the time, Arbin gladly presented the accomplishment of this project in the form of a testing device capable of measuring coulombic efficiency with 50ppm precision at 200A. The hope is that, such achievement will help dramatically reduce the development cycle for testing batteries and evaluating new battery materials. 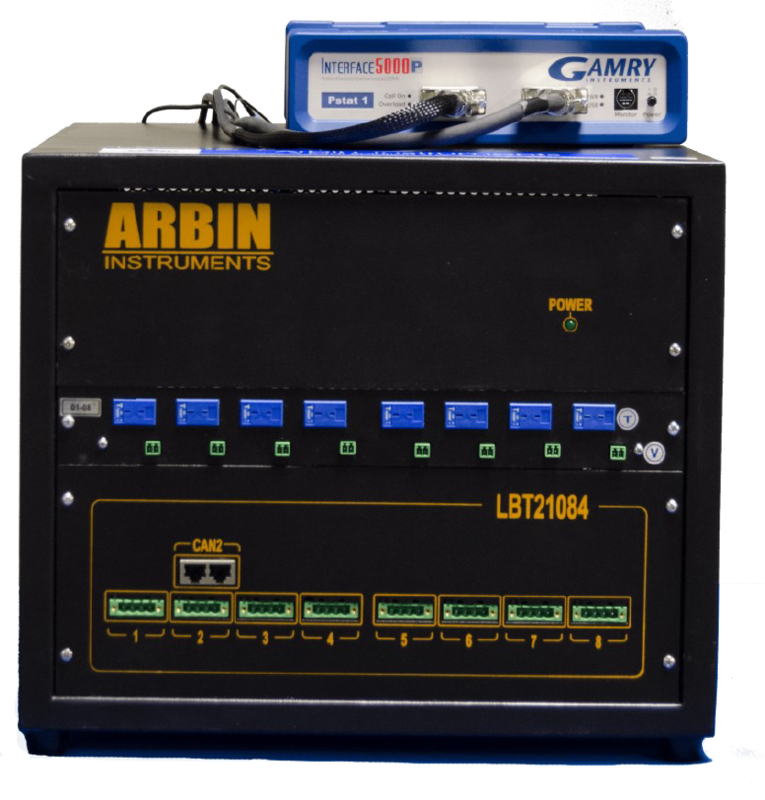 With the vision to make the most of the newly developed technology during the aforementioned project, Arbin took the initiative to incorporate it in their brand new High Precision Series which includes various families of products, one of which, described in this page, is the Linear Battery Testing (LBT) for cell and module applications. The LBT Series is replacing the BT2000 generation of testers with the linear battery testers: LBT-Cell, LBT-Cell-HC, LBT-Module and LBT-Module-HC. 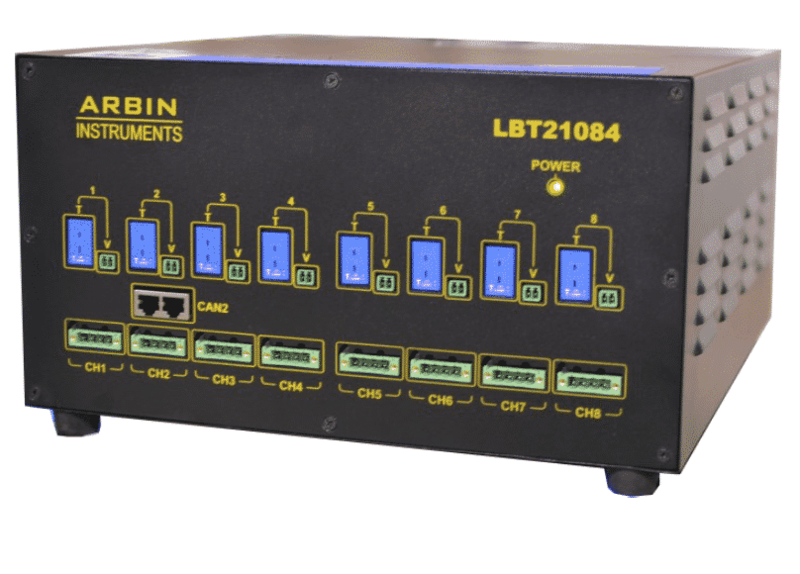 These LBT-Series linear battery testers consist of independent potentiostatic/galvanostatic channels for testing batteries and other electrochemical energy storage devices. These are also intended to provide an economical, yet expandable and flexible solution for applications requiring high-precision measurements and fast data sampling. All Arbin testing systems come with a PC preloaded with the programming software MITS Pro 7 and Data Watcher software, for creating test profiles, real-time data monitoring and data plotting and analysis. Fully independent high-precision and leading-accuracy channels. Four current ranges per channel with industry-leading 24-bit resolution. Zero linearity and zero switching time between charge and discharge. Parallelable channels for increased current-handling capacity. User-defined voltage safety clamp availability. Auxiliary inputs/outputs available for additional data collection and control. 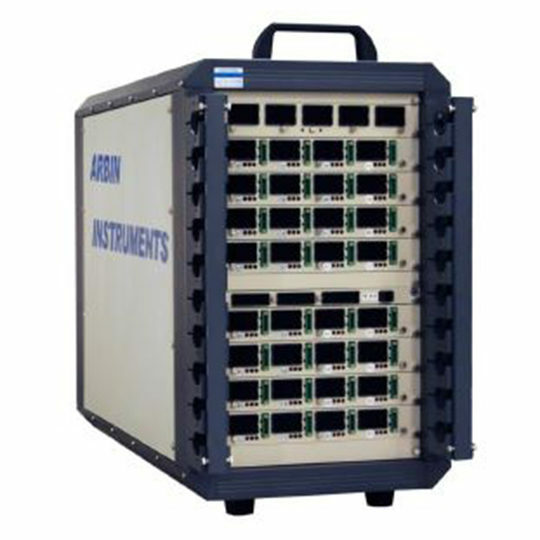 EIS module integration for AC impedance measurements. Fast data-logging (2,000 points per second per system). tools for easy data analysis and plotting. Measurement precision is more critical for long term testing and long-term projections than accuracy control alone. Most other battery testing systems do not correctly specify their precision and/or have relatively poor precision, which prevents extracting conclusive data from the results. In addition, important trends and electrochemical indications may remain unnoticed, lost in the measurement noise. 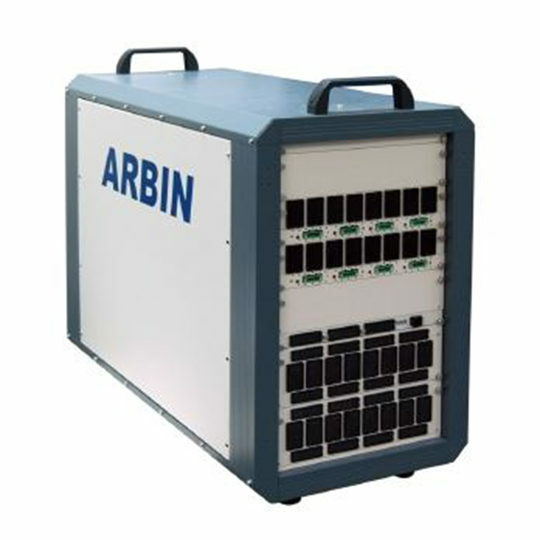 With that said, Arbin hopes that the higher degree of measurement precision will lead to new discoveries and characterisation metrics across the energy storage industry for all organisations. In this brand new range of products, multiple levels of specifications exist since to accommodate even the applications that do not demand ultra-high precision coulombic efficiency measurements. Having said that, our customer can be reassured that even standard systems are a significant technical leap above old industry standards.